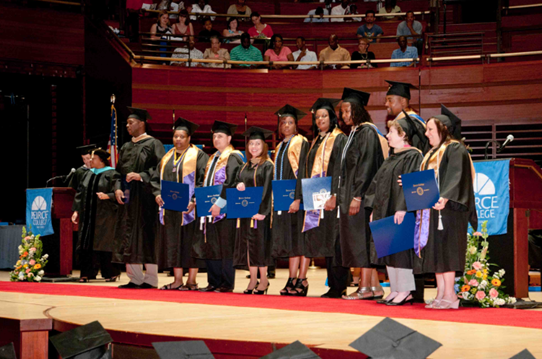 Commencement highlights: Accounting degree program graduates its inaugural class! Congratulations to our inaugural graduating class of Accounting degree candidates! These are the first individuals to receive a Bachelor of Science in Accounting from Peirce College. Check out the press release we issued for more details about the program and its graduates. GRADUATES: Pictured are the members of the inaugural class of Accounting graduates at Commencement on June 11, 2012.